Justin Myers attorney-at-law is here to help lift the weight off of your shoulders. He will help to educate you and gain control over your finances again. You can reach them by phone at 801-505-9679. You’ve done it. You’ve finally exalted all of your resources. You ran your credit card debt up and/or you took out all the loans you could. You don’t know what to do. The last thing you want to do is lose the roof over your head. You need somewhere to sleep at night. You’ve heard of filing for bankruptcy but never really considered it for yourself. Filing for Chapter 13 Bankruptcy may be your best option. You will get 3-5 years to resolve your debts. This plan allows for repayment of part or all debts as an alternative to liquidation. You’ll get to keep your house. The two questions you need to be asking yourself are how does it work and do I meet the qualifications? 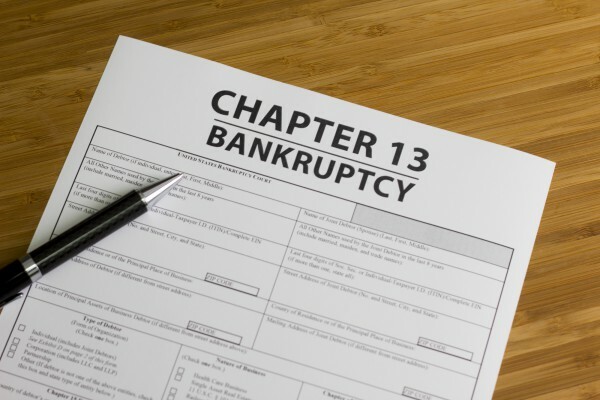 In order to qualify for Chapter 13 Bankruptcy, you need to be an individual (businesses cannot file). You will be asked to submit a reorganization plan in order to protect your assets from repossession and you have to request for forgiveness for other debts. You must have no more than $394,725 in unsecured debt. Unsecured debt is debt that doesn’t have property serving as a collateral for payment. For example, personal loans and credit card bills are considered unsecured debt. You can also have no more than $1,184,200 in secured debts. Secured debts are those made with collateral. These would be car loans or mortgages. It’s important to know that in filing for Chapter 13 Bankruptcy, it doesn’t eliminate things such as alimony, child support, or student loans. It allows for you to stop the effort in foreclosing your home. With Chapter 13 Bankruptcy you can make regular mortgage payments and keep your house. As mentioned previously, in order to meet the qualifications to file for Chapter 13 Bankruptcy you need to be an individual. You must demonstrate that you have the ability to pay off your debts. You must submit a report of all your income within 14 days of your petition. This income can come from any type of sources such as unemployment compensation or proceeds from a property sale. You will need to show proof that you have filed for state and federal taxes for the past 4 years. When the repayments are complete, the case is discharged. This whole process takes 3-5 years. Many people go through or have gone through what you’re experiencing. It happens to the best of us. Now it’s your time to reach out for help. You’ve struggled enough. Once your 3-5 years are done, you don’t have to worry about those creditors anymore. This plan works best with those who have a steady income but can’t get a grip on their bills. Chapter 13 Bankruptcy attorney at Justin Myers attorney-at-law is here to help lift the weight off of your shoulders. He will not only give you all the information you need but he will help to educate you and gain control over your finances again. You can reach them by phone at 1-801-505-9679 or via e-mail.